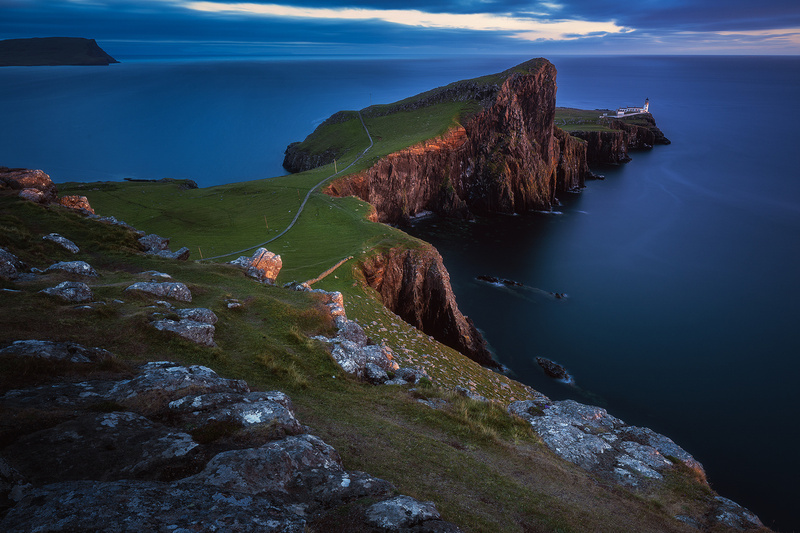 Neist Point on Skye is certainly one of Scotland's best known locations. If you venture on that single track which leads from Dunvegan 20km to the westernmost point of the island, you'll truly be rewarded with a fulminant view of the small lighthouse and the surrounding cliffs - and quickly you'll know why this place is so popular. ..